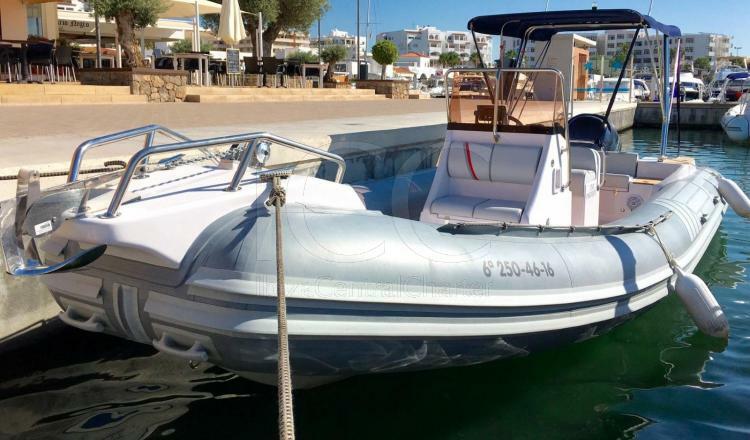 SACS S750 is moored in the Santa Eulalia del Rio port to the east of the island of Ibiza from where the best places of the island are very close, although this boat also provides a comfortable and safe trip to Formentera. 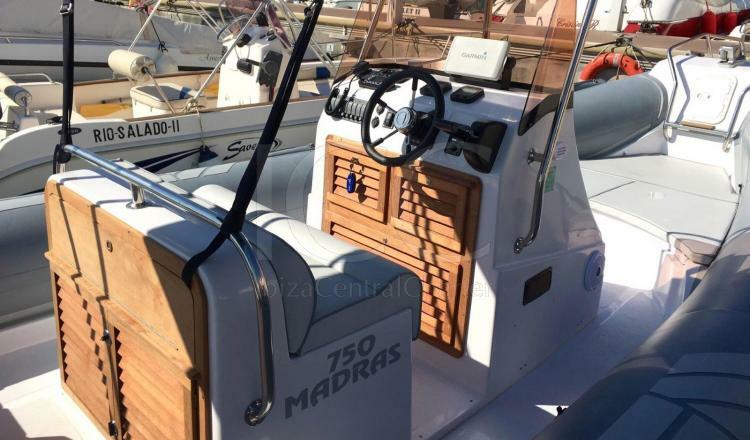 The SACS S750 is a semi-rigid boat of 7.5 meters in length. 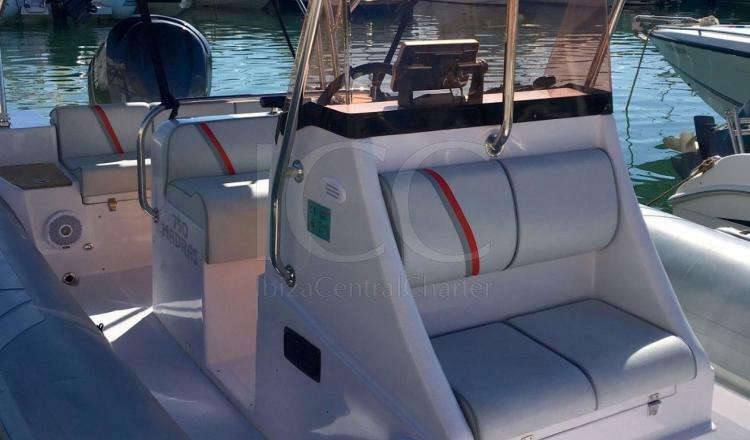 It is characterized by its safety on board, its easy handling and its stability. In the bathtub there is space for a group of up to 12 people to enjoy a day of charter comfortably. It has a solarium to relax and sunbathe, as well as comfortable seats aft that allow you to enjoy the sea breeze on your face while you sail. In the center of the bathtub is located the command post that offers a large armchair with space for the captain and a companion. 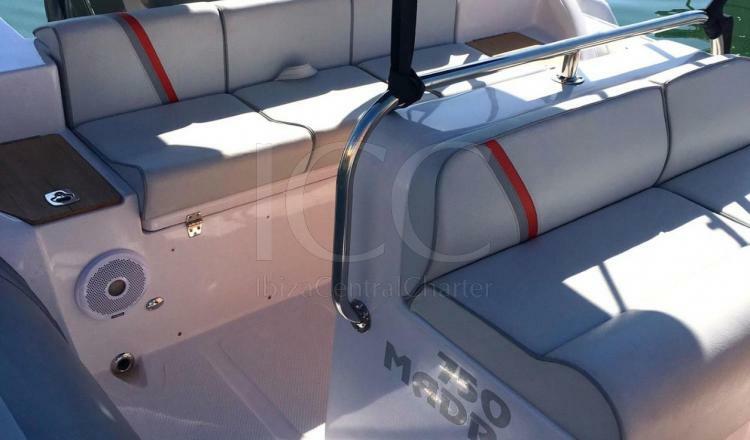 For the hottest days of summer, it has an ideal bimini awning to rest from the sun, as well as a bathroom ladder to access the sea more easily. 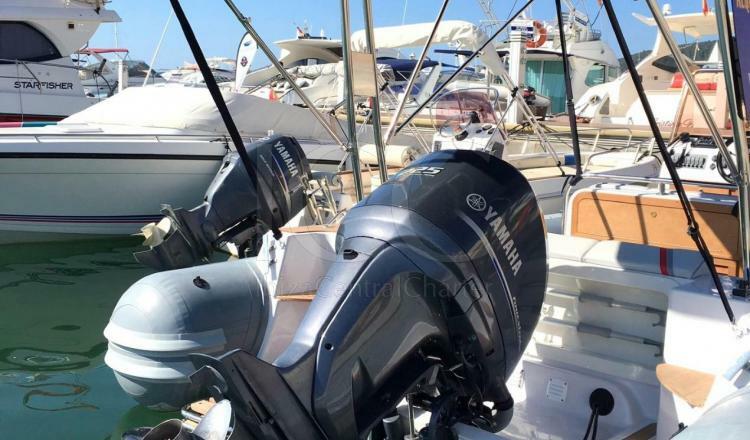 Undoubtedly, the SACS S750 is one of the best options to enjoy a day discovering the islands of Ibiza and Formentera in the company of your friends or family.